“Would you believe I found another?” Scott asks. “This time it was in the Kansas City Star, and the text is a bit different. Yeah, I guess the search is on. 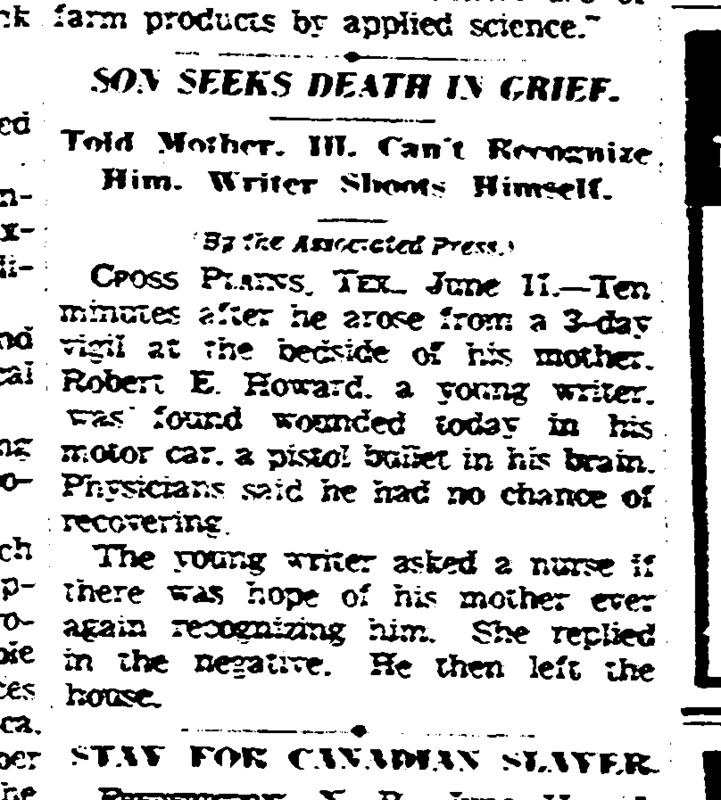 This entry was posted in REH and tagged June 11 1936, Kansas City Star, literary suicides, Scott Connors. Bookmark the permalink.